Recently, app.net has gotten a lot of attention, but I just don’t see the appeal. It’s basically a Twitter clone that you have to pay, and all of this for what? So that the API is nicer to developers and you don’t see a couple of “promoted tweets” once in a while? It sounds like a very shallow goal for a supposedly “disruptive” communication platform. Sure it has some kind of grand plan to get us to the next level of connectedness through, err, innovative apps and mashups or something. But it doesn’t make things better on the ownership level. It’s still yet another data silo. And I’m fed up with silos. Remember when we used to communicate through free, open, distributed and standardized protocols? You know, like emails or phone calls? Or even snail mail? 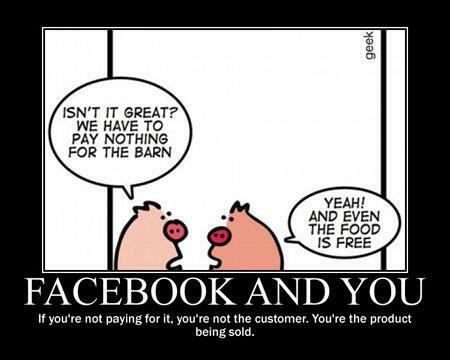 My problem with Facebook or Twitter is not that I’m the product, but that I don’t own my data, and that there’s no competition or choice between service providers. They’re not only data silos, but business model silos. Other people also got fed up with the slow decline of the open and connected web, and started writing the building blocks for distributed social networks. Several projects emerged from this, with the most famous being Friendica and Diaspora. Friendica: its main advantage is that it’s easy to install – like most PHP projects, you just copy files on your server, edit a configuration file, and follow the instructions on the web. You just have a couple of additional steps after that to setup your crontab so it can synchronize posts in the background. It also has very good interoperability with pretty much all the other social networks. The big problem, however, is that it’s batshit ugly. Also, as far as I can tell, it only allows bi-directional relationships, like Facebook, which means that if you want to “follow” somebody, you’ll have to send a “connection request”. Diaspora: announced with much fanfare a while ago, it felt like vaporware for the longest time until it actually looked like they were shipping something. The selling point is a Google+-like “friendship” model, where relationships are asymmetrical and can be classified with “aspects” (Diaspora’s version of Google+’s circles). However, as we’ll see in the next post in this series, it’s insanely complex to install, full of bugs, and has poor performance. It also only allows to cross-post to select competitors (Facebook, Twitter and Tumblr).